LAHORE, Sep 25 (APP): Punjab Agriculture Minister Dr Farrukh Javed said on Sunday that national economy was improving due to prudent policies of the incumbent government. He said the government was providing reasonable subsidy to the agriculture sector to boost yield and raise the living standard of farmers. In an interview with APP here, he said some countries like China and America were providing high subsidy to their farmers due to which their industrial sector made progress a lot. He said the government was making strenous efforts to provide all possible support to agriculture sector as it could play an effective role in strengthening the national economy. “It is unprecedented step of the government that it is providing per unit of electricity to farmers at Rs 5.35 aiming to give flip to the agriculture sector”, he added. 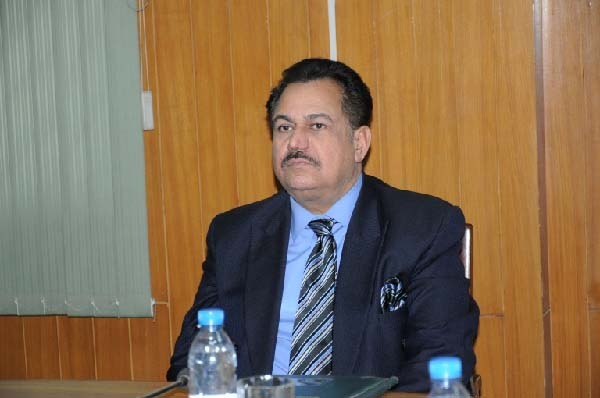 The minister said that per bag of Urea was also available to farmers at the rate of Rs 1300 to 1400 and Diammonium phosphate (DAP) per bag at Rs 2500 to 2600. He said that agriculture implements which were in main use of farmers were being provided to them at half rate, adding that laser levelers were being given to growers almost free but through transparent balloting. To a question, he said that 60 to 70 percent demands of Kisan Ittehad had been accepted, adding the government had withdrawn GST from fertilizer this year and was taking possible steps to facilitate farmers to a great extent. He said that Kisan Ittehad had appreciated Punjab Chief Minister Muhammad Shehbaz Sharif for taking unprecedented steps for the betterment of agriculture sector, adding that no doubt more work would be done for bringing more improvement in the agriculture sector. Dr Farrukh Javed said agriculture commission had been established for the facility of farmers and the right way of resolving problems was through dialogue and the government would extend all possible help to farming community. “There is a need to understand the yielding gap and it should be minimized and the agriculture department is taking various steps to provide best advisory service to the farmers at their doorstep”, he added. The minister said the government was taking revolutionary steps of providing interest free loan to farmers who possessed land upto 12.5 acres under which about 500,000 farmers would be benefitted, adding that such steps would help in bringing qualitative and quantitative change in the socio-economic condition of growers. The minister further said that research was of high importance in this field and proper attention was being made to achieve the desired results. Responding on sugarcane payments related matter, he said that 90 percent of payments of sugarcane growers had been made.